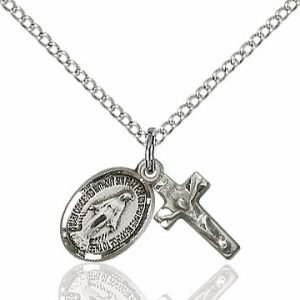 This beautiful sterling silver miraculous medal necklace slides open to reveal three layers. 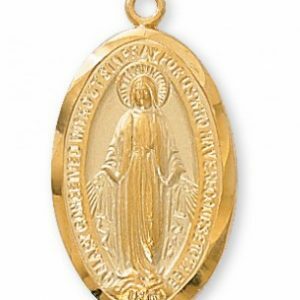 The first layer, just opposite the outer rosebud, contains an image of St. Joseph, and another of Mary. 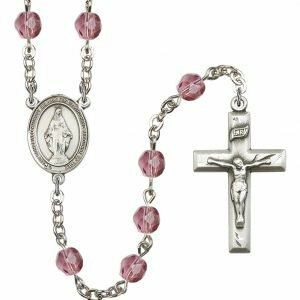 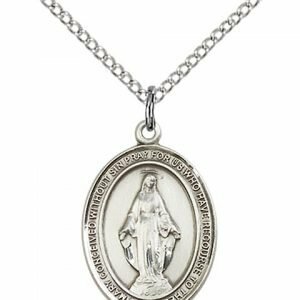 The inner layer of the necklace is a beautiful miraculous medal, with flowery detail surrounding the image. 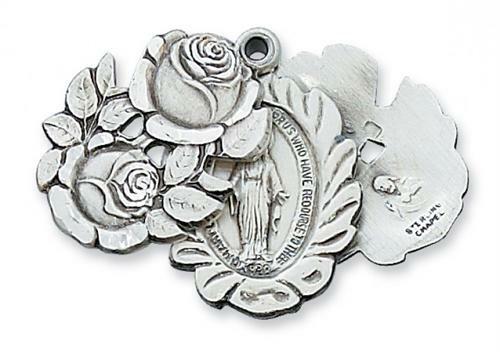 The third layer, which contains the back of the rosebud on its opposite side, contains an image of St. Therese, and another of the Sacred Heart. 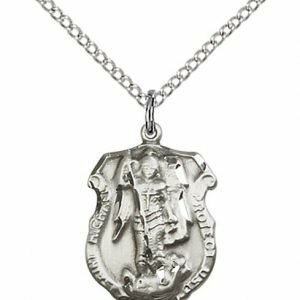 Measures 3/4″ by 1/2″. 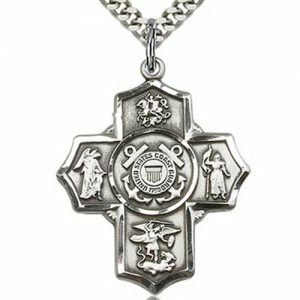 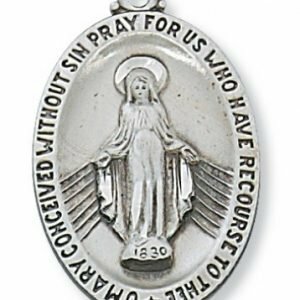 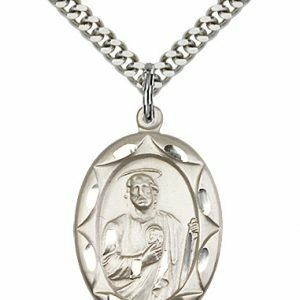 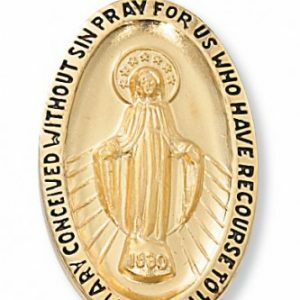 This unique miraculous medal, with four beautiful additional images, is a great gift idea for a confirmation, birthday, or any special Catholic occasion!